Oakland Home Improvements specialise in double glazing for both commercial and domestic applications. With over 30 years experience delivering exceptional double glazing in Chelmsford and the surrounding area, we are experts in the supply and installation of UPVC double glazing. Oakland Home Improvements specialise in double glazing for both commercial and domestic applications. With over 30 years’ experience delivering exceptional double glazing in Chelmsford and the surrounding area, we are experts in the supply and installation of uPVC double glazing. Our windows doors and conservatories offer a superior choice for commercial upgrades and home improvements, enabling all property owners to achieve a high performance and appealing look for their property. We offer a full range of double glazing services which includes uPVC double glazed windows, doors, conservatories, orangeries and roofline products. Our family run business has established a superb reputation in the local area for quality home improvements. Our accredited and certified double glazing means we offer nothing but excellence. When you choose Oakland Home Improvements for your double glazing in Chelmsford, you can count on quality products and expert installation. Our highly trained and experienced team are passionate about their work, striving for excellence in every installation. For your complete peace of mind, we are fully accredited by Checkatrade. You can expect a superior double glazing installation from Oakland Home Improvements from a team you can trust. Our products carry a 10 year insurance backed guarantee, ensuring you can count on the quality of our products and our installations. Oakland Home Improvements is registered and certified with Certass, one of the industry’s most recognised regulator for replacement windows and doors. All our UPVC double glazing in Essex is designed and tailored to our exact requirements. Our company has been approved by Trading Standards so you can be assured of our high standard of customer care and service. At Oakland Home Improvements, we only work with the very best manufacturers in the industry, ensuring your Chelmsford double glazing meets the highest standards. Our windows, doors and conservatories are precision engineered for quality and performance, and they come in a number of styles and designs to complement your architecture and reflect your individuality. We offer uPVC windows and doors from state of the art manufacturer Eurocell, renowned for the thermal performance they offer and their security. Our aluminium double glazing is crafted from the incredible Smart Architectural Aluminium profile, which features cutting edge technology and exquisite design. For our conservatories, we work with the nation’s favourite, Ultraframe, who offer double glazing specifically designed to create stunning and high performance conservatories. All of our double glazing benefits from being under the Thermal Ratings Register and many of the products we offer are even capable of achieving Secured by Design [link] accreditation. You will benefit from the most exceptional home improvements when you choose us for your Chelmsford double glazing. Whichever option you choose from our collection, you will be given a range of options to create tailored double glazing for your Chelmsford home. Our windows, doors and conservatories come in a number of superb styles, enabling you to enhance the character of your property and create a personalised look. In addition to this, we offer a range of superb finishes, decorative glazing, hardware and accessories to complete the design, allowing you to truly create bespoke double glazing for your Chelmsford home improvements. Come and see our exceptional double glazing products for yourself. Our showroom, based on Ongar High Street, Essex, is filled with examples of our fantastic windows and doors, letting you browse for inspiration in preparation for transforming your Chelmsford home. Our team will provide you with a free, no obligation quote and assist you with a complete package that includes expert advice, survey and installation. There’s no hard sell, and you can take all the time you need. Our experience and talent for home improvements speaks for itself and our great customer reviews show just why we are so popular for Chelmsford home improvements. We welcome you to visit our showroom in Essex, or if you would prefer, you can contact us directly on: 01277 365988 to discuss your requirements. 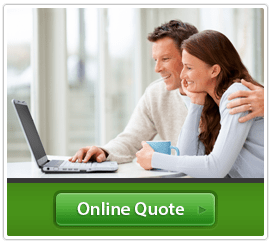 If you would like to see our double glazing prices in Chelmsford without leaving the comfort of your own home, then visit our online quoting engines. Simply enter your specifications and our clever system will provide you with a unique guide price, helping you to prepare for your Chelmsford home improvements. This will enable you to get a price that is based on you, allowing you to bring a cost-effective and high performance new addition to your Chelmsford home. Don’t settle for less with Oakland Home Improvements.